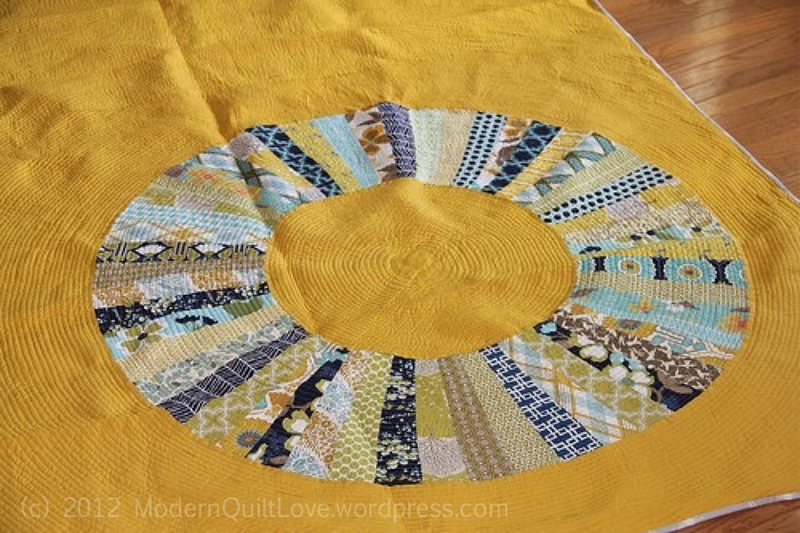 In this close up view we can see the “endless” circles she’s stitched throughout the entire quilt. 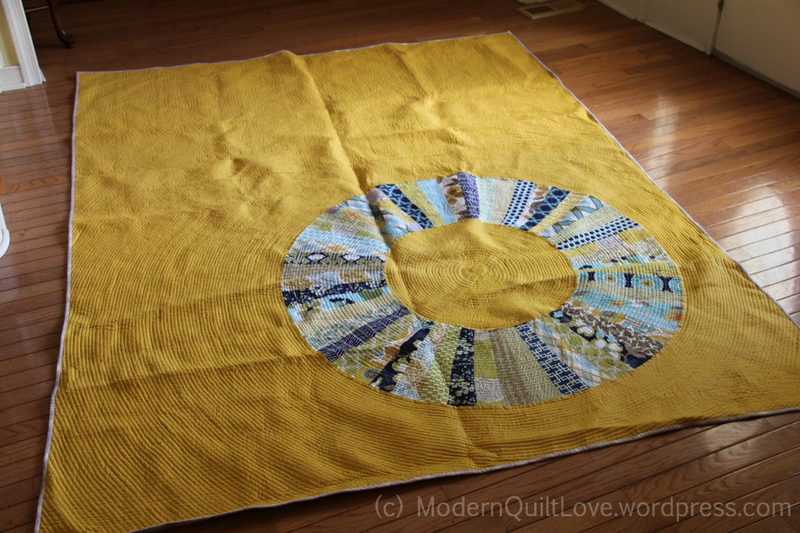 I find that the contrasts she uses with dark and light fabrics within the circle make it more interesting and dramatic than if it had all been matchy-matchy. Check out her free tutorials.